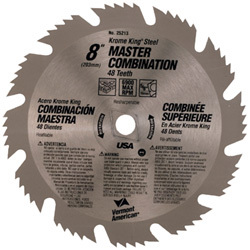 Krome King® circular saw blades are manufactured from premium alloy steel that is heat treated and tempered for long life and durability. Teeth are precision sharpened to produce fast, smooth cuts. All blades can be resharpened.